Jeremy Nicholas is an actor, writer, broadcaster and musician. He began his career with the Prospect Theatre Company (Edward II and Richard II with Ian McKellen) followed by two years at the famed Citizens’ Theatre, Glasgow. Since then his stage experience has included seven national tours and an Olivier Award nomination for his acclaimed solo performance of Three Men In A Boat at the May Fair Theatre, subsequently filmed for Channel 4. On television, he has starred in series (The Pickwick Papers, The Good Companions, Wish Me Luck), sit-coms (The Upper Hand, Birds of a Feather), a soap (Crossroads) as well as many popular dramas (Outside Edge, London’s Burning, Heartbeat). He has also appeared in two of the worst films in the history of cinema: Turtle Diary and Ishtar. His extensive work for BBC Radios 2, 3 and 4 has embraced everything from contributing over 150 songs for Stop the Week to adapting and reading books for Woman’s Hour and Book at Bedtime. He has written and presented over sixty features on subjects ranging from Latin, comic songs, and the Shipping Forecast to Korngold, Cziffra, Ronald Frankau and Harry Graham. His own series have included The Tingle Factor, The Shellac Show and Personal Records. In 1996 his two-hour celebration of England, Green and Pleasant Land, won the Sony Gold Award for best arts programme. Jeremy has composed the scores for many stage plays (among them the world premiere and West End productions of Tennessee Williams’s Vieux Carré) and four major television plays. His songs and instrumental music have been recorded by Sarah Walker & Roger Vignoles, Marc-André Hamelin, duo-pianists Nettle & Markham, the Grimethorpe Colliery Band and organist Kevin Bowyer. He has written three reference books on classical music, biographies of Chopin and Leopold Godowsky, a collection of light verse (Raspberries and Other Trifles) and an album of songs (Funny You Should Sing That). His latest book, The Great Composers, was published in October 2007. Jeremy has written the booklets for over 80 classical CDs (nearly 30 of them for Hyperion), including the recording of his verses for Carnival of the Animals released last year. 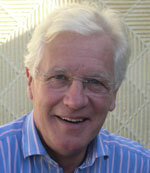 He is a regular contributor to Gramophone, International Piano and Classic FM magazines as writer and critic. In his spare time he runs a church choir and is President of the Jerome K. Jerome Society.